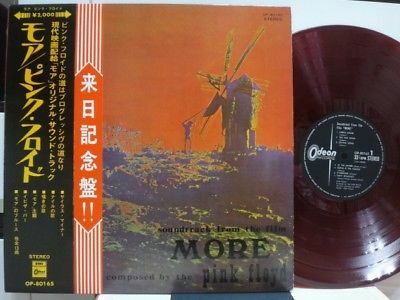 PINK FLOYD / MORE, RARE JAPAN ORIG. 1ST PRESS 1970 LP RED WAX w/OBI PROG NM! Rare Red Color Vinyl !! !